Gault clay tiles, which are tones of yellow, are found in Cambridgeshire and other Gault clay areas, often mixed with other tiles. Their manufacturer has been recently revived. Aldershaw Handmade Tile Ltd make a number of tradtional clay products, and use the local Wealden clay. Products include handmade peg tiles, Cambridge mix tiles, oast house tiles, ornamental tiles, roof finials, floor tiles and mathematical tiles. 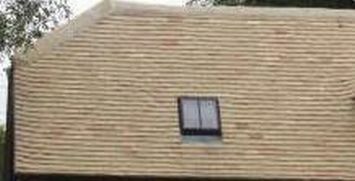 The company produces handmade gault clay tiles, pantiles, bricks, floor pammets and wall copings, using the locally dug Cambridge Gault Clay.